HUMAN GRADE: All of the ingredients are fit for human consumption and we make our food to the same standards required for human edible food. GRAIN FREE: Dehydrated and made with probiotics for easier digestibility, this healthy dog food is Made in the USA with NO ANTIBIOTICS EVER cage-free turkey raised in Indiana. NO ANIMAL MEAL: Only real meat. You won�t find any feed grade ingredients like chicken meal, lamb meal or fish meal here. Just add water and stir for a delicious, nutritious meal. 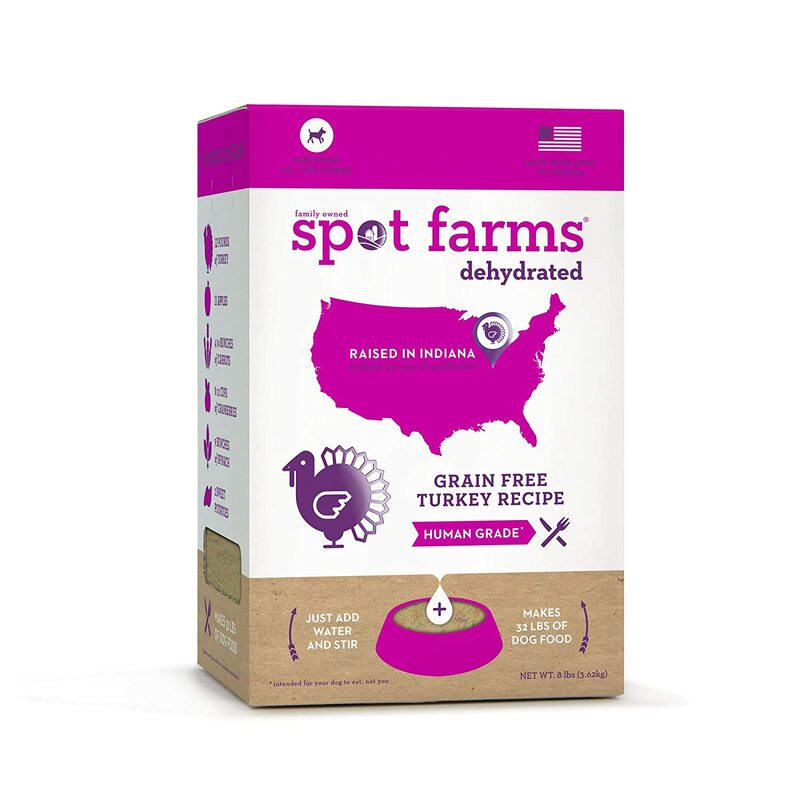 ALL NATURAL: Spot Farms dog food has no by-products and no artificial flavors, colors or preservatives.